Following the Olympics, things feel like they calmed down again a little for me last week, and after being on the road for most of the summer it’s been great to be back home with the friends and family again with a chance to chill out a bit. Mum and Dad threw a little Olympic party for me at home and I’ve now settled back into training for the World Championships, which are less than a couple of weeks away. The Olympic XC was an amazing event and the crowd in particular was incredible. I was really happy with my race and how I followed my strategy of putting myself in a good position by getting a fast start. I was leading the field and giving it my all, but in the last couple of laps I suffered for it. But that’s racing, I did what I wanted to do, gave it everything and I’m happy with what I achieved. Two weeks earlier at the Val D’Isere World Cup I’d got in a similar situation and in the last couple of laps I’d felt strong and rode to third place, it just didn’t happen like this at the Olympics. The short sharp climbs and technical descents were really tiring and you never got into a rhythm. I had to keep on injecting different efforts and the rock sections were physically really tough on your core and upper body – it required a lot of power and strength to get up and over them. The short Hadleigh descents meant it was difficult to get a gap on riders behind you too, so they could always grab your wheel again at the bottom, and this forced the pace even more. It turned into the kind of thing whereby it was a course that just slowly wore away at people and the gaps came slowly. Julie (Bresset) looked very comfortable on all the climbs and it helped that she’s smooth on the bike. She rode an incredible race and her victory was very impressive. Now it’s on to Leogang where I’m going for the Under 23 World Championships jersey. It’s a big deal for me to win this title and I really want to perform, as it’s the last year I’m eligible and I’ve not really done many U23 races this season so it’s going to be a different race experience. I’ll also be racing the first ever Sprint Eliminator World Championships, which I’m hoping to do well in, but my main focus is to get the U23 jersey. It’s been a busy and exciting year, and after the Worlds the season will wind down a bit. I’m looking forward to doing some fun riding and sorting out my options and planning for the future. My sponsorship contracts run out at the end of the year so I’ll be looking at what works out best for next year to go for all the things I want to achieve in the future. To read part one of Annie’s diary, click here, for part two, click here. 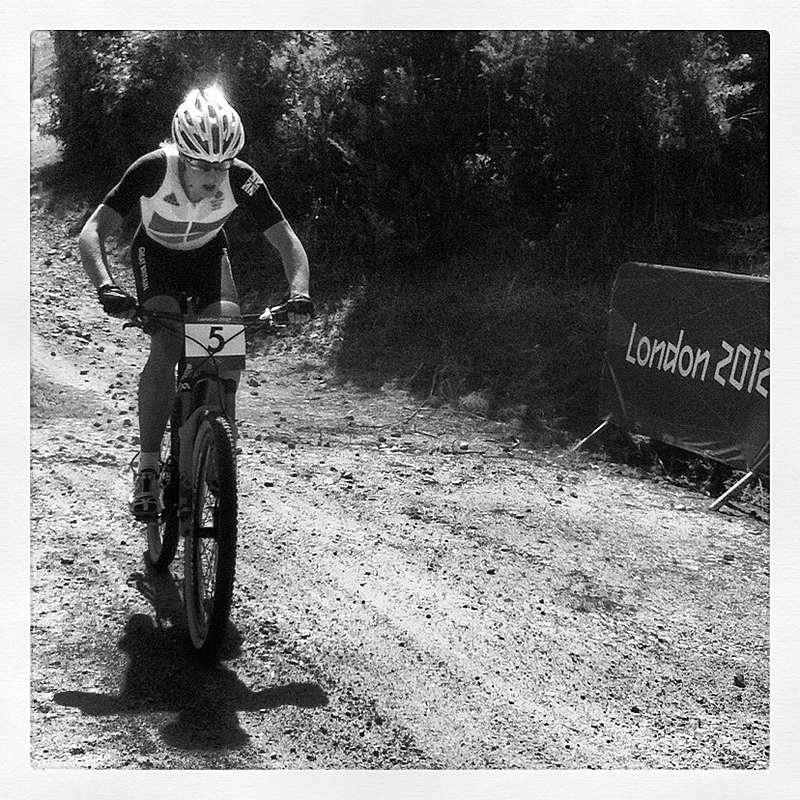 For our full guide to the mountain biking at London 2012, click here.